Black Women and the names of their children...? (DETROIT) In a decision that’s expected to send shockwaves through the African-American community—and yet, give much relief to teachers everywhere—a federal judge ruled today that black women no longer have independent naming rights for their children. Too many black children—and many adults—bear names that border on not even being words, he said. The rule applies to all black women, but Cabrera singled out impoverished mothers. Few stepped forward to defend black women—and black women themselves seemed relieved. “It’s so hard to keep coming up with something unique,” said Uneeqqi Jenkins, 22, an African-American mother of seven who survives on public assistance. Her children are named Daryl, Q’Antity, Uhlleejsha, Cray-Ig, Fellisittee, Tay’Sh’awn and Day’Shawndra. Beginning in one week, at least three white people must agree with the name before a black mother can name her child. “Hopefully we can see a lot more black children with sensible names like Jake and Connor,” Cabrera said. His ruling stemmed from a lawsuit brought by a 13-year-old girl whose mother created her name using Incan hieroglyphics. The National Association of Elementary School Teachers celebrated Cabrera’s decision. The practice of giving black children outlandish names began in the 1960s, when blacks were getting in touch with their African roots, said historian Corlione Vest. But even he admits it got out of hand. Cabrera’s ruling exempted black men because so few of them are actually involved in their children’s lives. Note: This article is satire, brought to you by the creative minds at The Peoples News. It’s not real, but we hope it made you think. Yes folks this is just satire but let’s face some facts. There are some black women out there who are giving their children outrageous names and those names have nothing to do with our African roots. Clitoria and Tequante are not African names. I like unique names if they have a real meaning. CriticalThinker, the meaning of the name is whatever one associates to it. Actually I would preffer to name my daughter Shaniqua or Tawanda; over soemthing like like Elizabeth, Mary or Madison. some of these names are getting out of hand. does the name mean something? does it have sentimental significance? i work with youth and it's almost laughable what some of these kids names are. Yeah, it's pretty sad. A post 1970 generation of Negroes have been ghettoized with these silly coonish names. Negroes were desperate to separate themselves from white America and it's racism, so, in their misguided attempt to rename themselves with non-western sounding names, they initially used authentic African names. But soon the pandemic craze of haphazardly making up so-called African sounding names became the norm. Now, there is an entire generation of young black females (the males have equally ridiculous names) with a majority of fatuous names ending with the "a vowel". WTF???? Now, don't misunderstand me, I have no problems with giving your child a different or an unusual name. There are seemingly countless names for children that are non-traditional but they have an origin and meaning. WTF does Shaqunda, Shaniqua, Laqueda, Janinka, Dashanda, Taqueda, Taquesha or Erisha mean????? I used to watch at Mury Povich for entertainment to see these shameless manic Negores ranting and raving, bouncing across the stage and screaming, "....he know he be my baby's daddy!" The mothers would have names like Tasahnda while her two fatherless children would have names like Kashnada and D'Ninqua. It's so sad. I can just imagine what the audience thinks of these Negresses and their fatherless multiple children and those loony names. Let's see, the job application has the name Monisha Tay Tay Jackson. Hmmmmmm.....Is she white? Latino? Maybe Asian? Could she be black? Naaaaahh......No way. Ha! Ha! Ha! Ha! Personally, I have MUCH more of a problem with the names of people from other countries like Poland, India, or even Nigeria. Some of the names are unpronouceable a native English speaker -- forget about knowing what the name "means". There was some cat, from India, in the corporate database from my last job with 26 characters in just ONE of his names. The feeaking database I was working with could not handle the name! Do you realize we are probably more likely to encounter a name like Balasubramaniam in a US corporate environment than we would encounter as Shaniqua -- That is actually THE problem. Besides I can definitely pronouce Shaniqua with more ease. I guess thats what the north american union is about. I guess we are going to do away with the consitution. I thought this was a country were people of different cultures and religons were free to pracitice and live in peace. 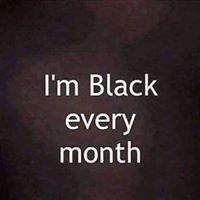 personaly i think blacks should bear free name in stead of the names of the slave master. We can no longer be tools to the white man. We need to be tools to the one true god, the living breathing one. What is the meaning of civilization but one having knowledge, wisdom, understanding, culture, refinement. To build these thing we need to get back to the root of who we are as black men and women. What kind of a damn name is "CAREY"..